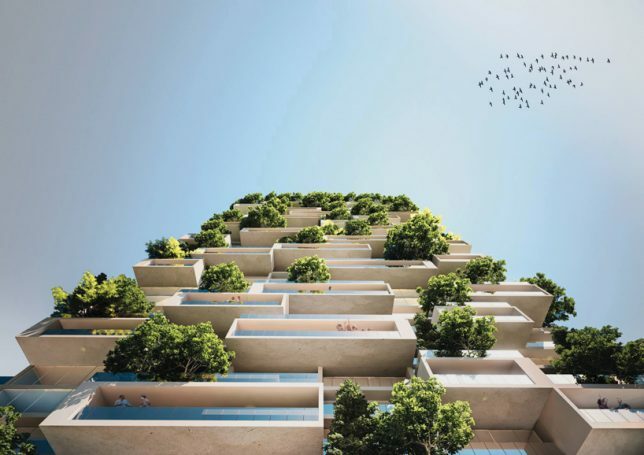 The future of urban living (at least for the wealthy) is looking pretty lush, with residential towers finding new and creative ways to incorporate greenery, maximize views and give residents the feel of a spacious suburban backyard hundreds of feet in the air. 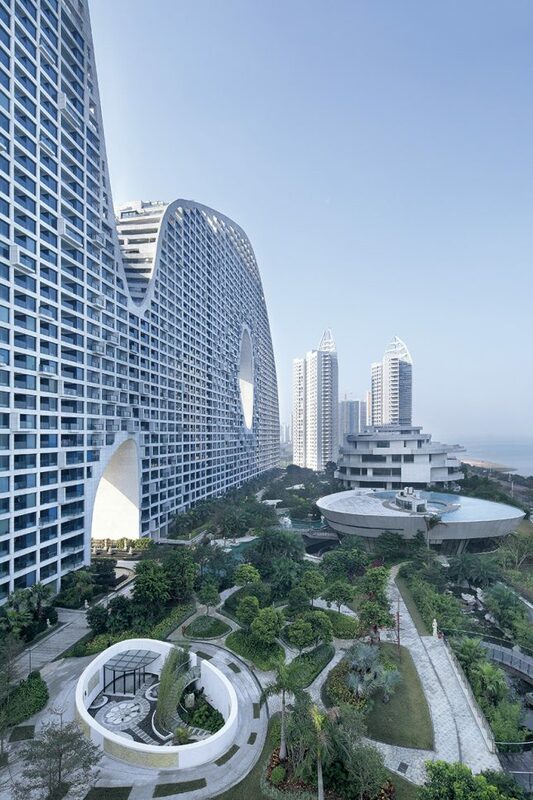 Many of these buildings are pushing new technologies, including novel modular plug-and-play solutions, 3D-printed prefab parts and integrated ecosystem design. As unrealistic as some of the renderings may look at a glance, these towers are becoming a reality, some set to be completed as soon as 2017. 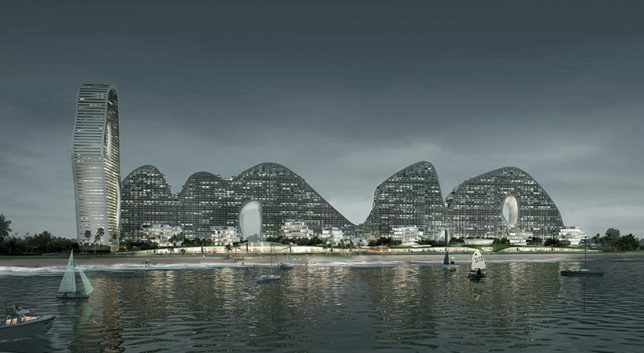 One of those renderings that looked too fantastical to be real, ‘Fake Hills’ by MAD Architects is almost fully complete in the coastal Chinese city of Beihai. 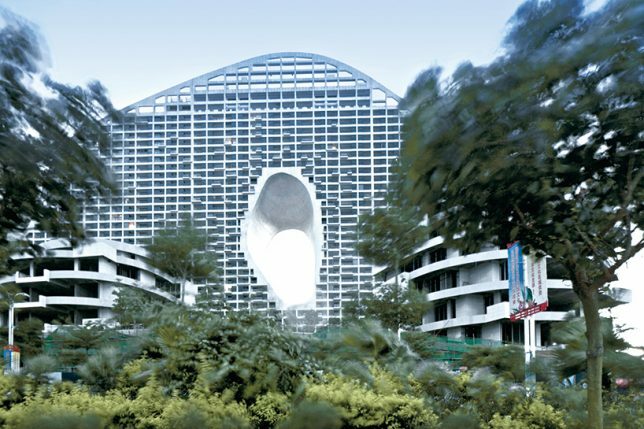 The development is part of a planned, built-from-scratch city featuring dense housing in architecturally innovative form along with a lush green landscape. 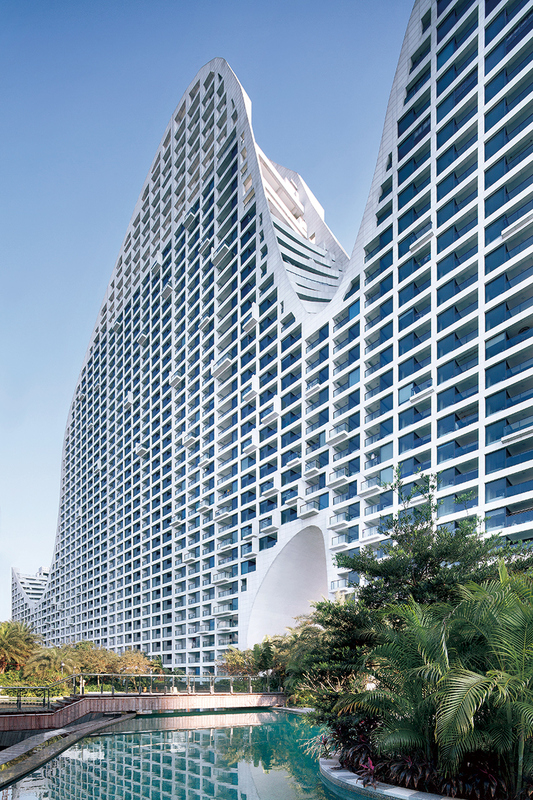 The continuous roof platform running along the top will eventually be planted with gardens, too, and feature tennis courts and swimming pools. 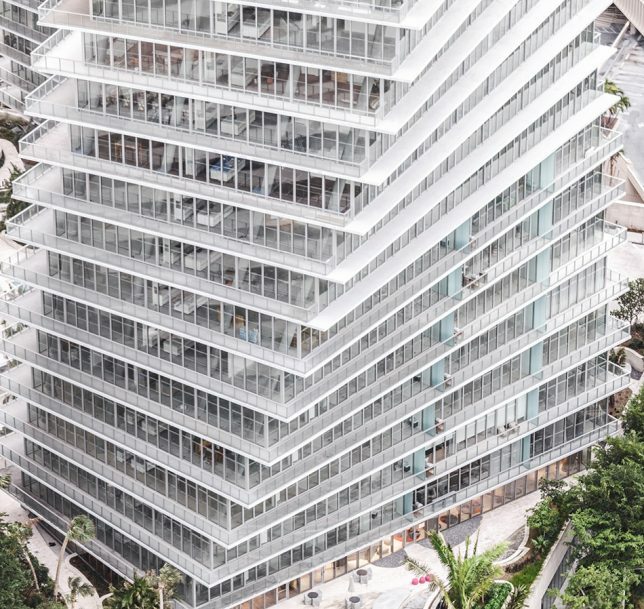 BIG’s recently completed ‘Grove at Grand Bay’ in Miami is true to its renderings, down to the undulating planted areas at the base. 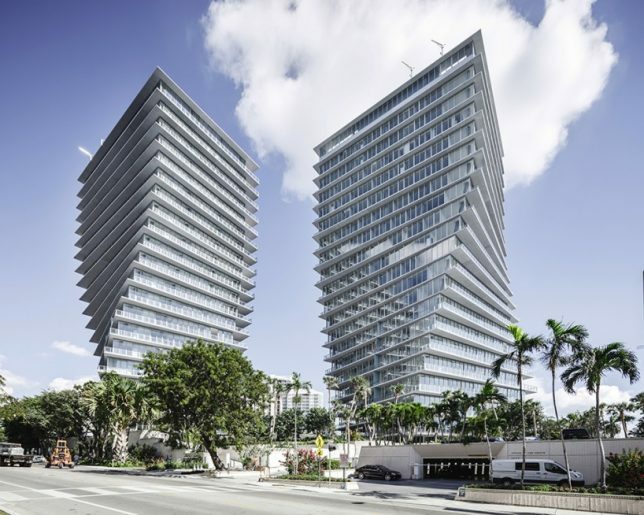 The pair of twisting towers is actually a luxury ‘low density’ project featuring 98 units topped with dual level penthouses and containing seven swimming pools, a spa and fitness center, and an on-site art gallery in what could be perceived as stacked mansions for a dense urban setting. 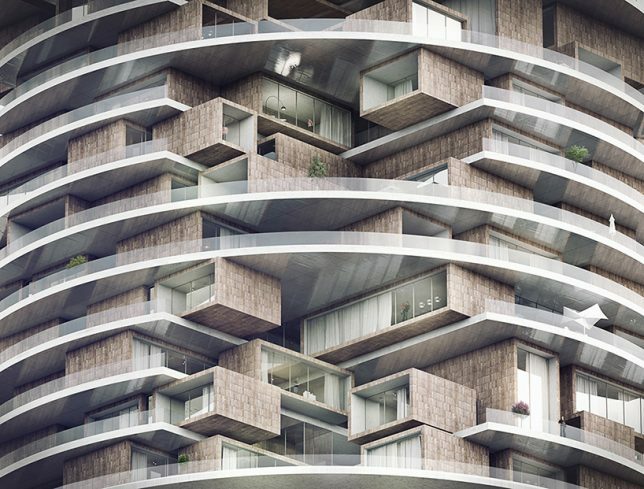 This ‘vertical community’ by C.F. 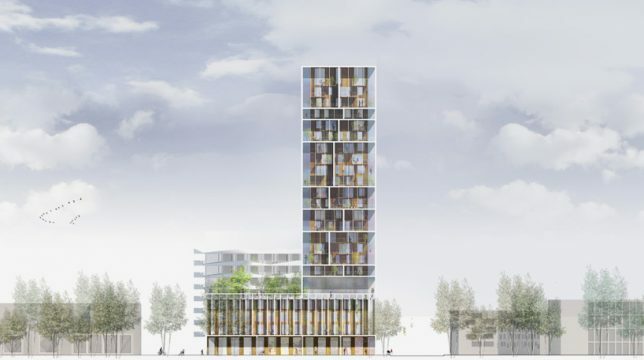 Møller is a residential and mixed-use tower that was “developed from the inside out,” placing an emphasis on social qualities, aiming for a suburban quality of life. 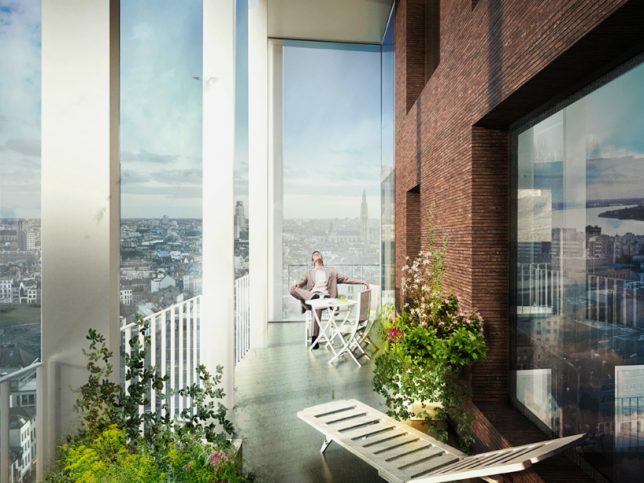 The 24-story complex contains 116 homes, retail outlets, offices and communal areas, including enclosed winter gardens at each end of the tower and a shared 5th floor facility with a landscaped roof terrace. 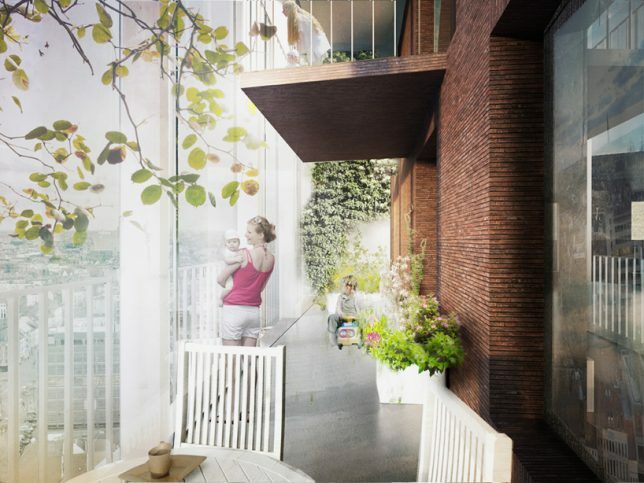 The envelope of the structure contains balconies enclosed within glass, an interstitial area between architecture and facade spacious enough for kids to play. 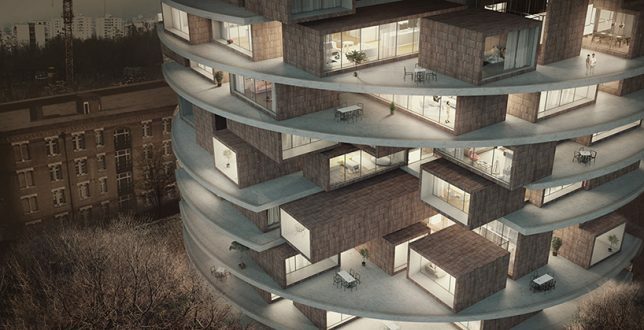 The form of this residential tower by ZAAD is pretty unusual, featuring a series of modular units wedged between stacked circular platforms to create a patchwork of indoor and outdoor areas. 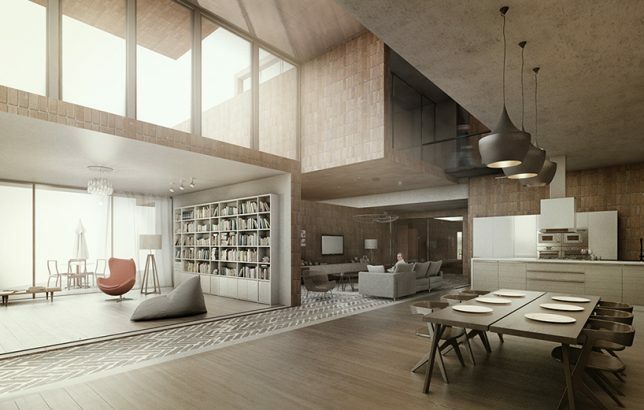 Also set to the scale of a suburban home, the units offer a comfortable living environment and highly varied views of the city intermixed with spacious terraces in the voids between modules. 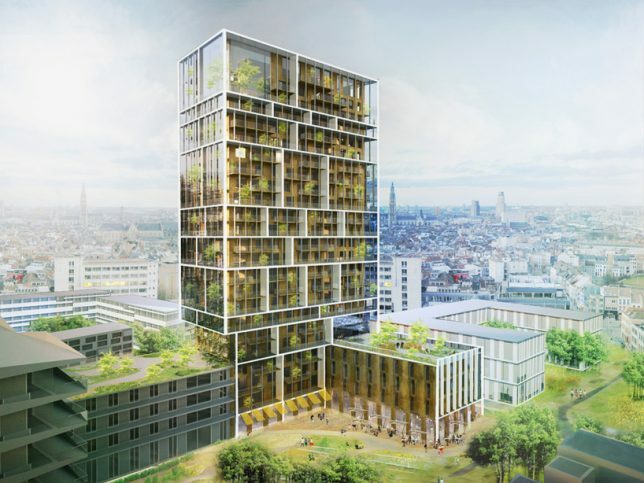 Critics have questioned whether this ‘vertical forest tower’ by Stefano Boeri is an ‘Alice in Renderland’ kind of concept, especially considering that the trees pictured along the peripheral areas of the structure would need a much deeper root system and lots more soil than the design allows. 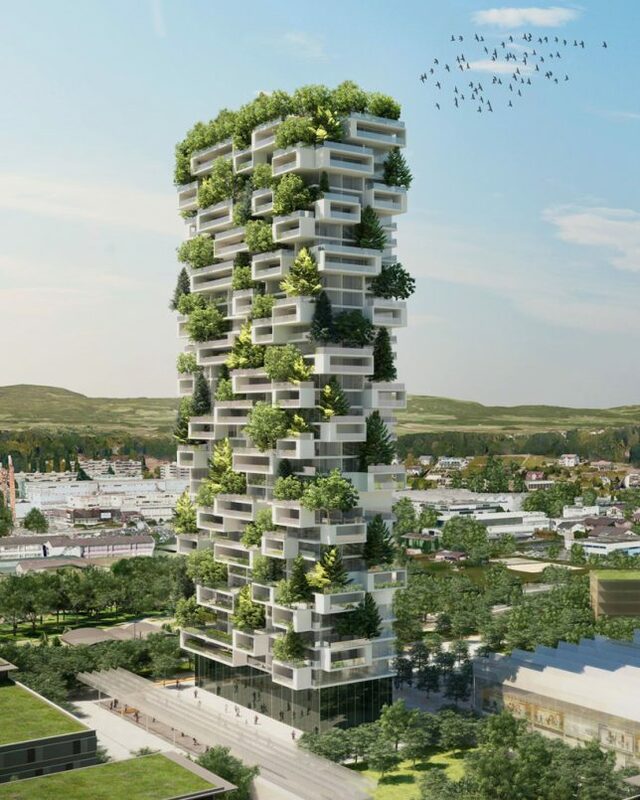 The vision of such large-scale greenery seems pretty unrealistic, especially given the high demand for water and the inevitable strain on the supporting structures. 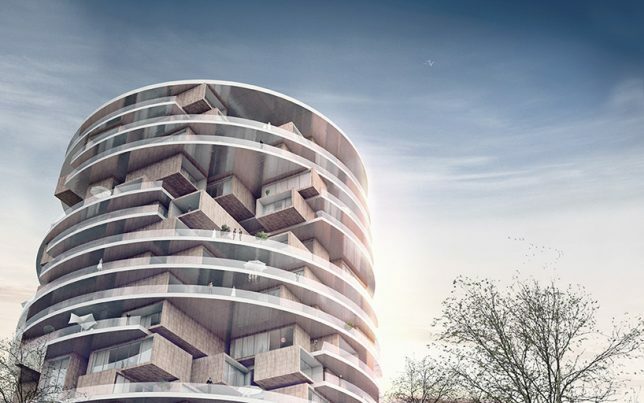 But we’ve been surprised before, and the tower is under construction with a completion date set for 2017, so we’ll soon find out. 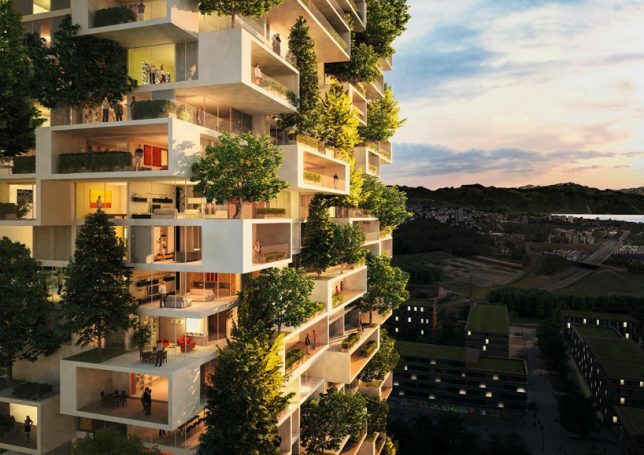 If they work, the green additions will help create shade and filter air pollution.